Kanji, the Japanese characters that borrows from Chinese, are not only ideographic but also modular. The secret to memorizing hundreds and thousands of kanji is to focus on their elements for meaning and sound. As an adult learner, I am struck by how many of these core kanji elements represent nature, such as water, tree, mountain, fire, stone, sun, valley, soil, tree, and so on. As an example, the word zassou (雑草) or weed is composed of two characters– zatsu (雑) or miscellaneous and kusa (草) or grass– and a total of five elements, including three characters that represent life forms: tree, bird, and plant. That zatsu character’s use of the number “nine” is perhaps arbitrary, but there is also a meaning that can be inferred by the combination of nine, tree and bird. Many Japanese words and personal names have at least one character or element that represents nature. I must clarify that the above image and explanations come from Daiki Kusuya’s wonderful Kanji Starter 2 (IBC Publishing, 5th edition, 2008). The book does a great job of presenting simple to complex kanji, offering memorable explanations, and cross-referencing by number. Still, the author warns that he created his explanations to help second-language learners, and that they should not be taken as true etymology. I like how the author privileges memory and imagination over historical accuracy. 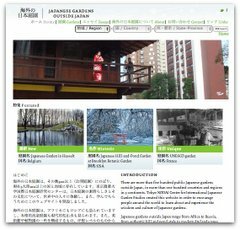 I am simultaneously studying Japanese language and why urban Japanese, like many global counterparts, want a greater connection with nature. To an outsider, it is curious how nature is so pervasive in Japanese language. Perhaps many Japanese do not reflect on this aspect of their language, much like no one considers it remarkable that so many Tokyoites tend flowers outside their homes and shops. As an anthropologist, I view this lack of discourse, this invisibility of the everyday, as evidence that it is a key aspect of the culture.